The following contains spoilers for Westworld up through the end of season 2, and the Black Mirror episode San Junipero. Charlie Brooker liked to disturb his audience, and his newest story offered the most terrifying ending yet. The writer and creator of the dark sci-fi anthology show Black Mirror had become famous for injecting his stories with a biting nihilism, often showing characters figuratively (and sometimes literally) torn apart by the technology they relied on. He would shock and offend, surprise the audience and make them gasp, but he rarely offered a climax that suggested hope to the story’s characters. But he had broken into new territory with his now famous episode titled, San Junipero. The characters in this episode live in a future where the elderly plug themselves into a digital world where they can live as younger versions of themselves. They can party in any decade (the 80’s seems to be popular), experience anything, and feel whatever they want. Unlike the fantastical digital landscape of Ready Player One, San Junipero is more of an idealized version of the past one could live in for as long as desired. The episode ends with our heroine euthanizing herself in a hospital while her brain gets permanently uploaded to this digital world, where she will live out eternity, her mind stored in some warehouse plugged in with countless other “dead” individuals. So like I said, it’s a pretty horrifying ending…or so I thought. It seems I am one of the few who found the implications of San Junipero’s ending disturbing, as many hail it as the most heartwarming Black Mirror episode to date, and proof that Charlie Brooker can write a happy ending. Indeed, the episode itself cheers our heroine’s decision, triumphantly synchronizing a shot of the lethal fluids flowing into her veins to the song Heaven is a Place on Earth by Belinda Carlisle. Brooker clearly wants us to feel happy for her as she chooses to spend eternity in a digital paradise. The idea of a digital paradise has been gaining some traction lately, it seems, as the HBO show Westworld recently featured a similar plot where robots (called “Hosts”), created to be attractions at a theme park, discover an untouched digital world that they can upload themselves to and develop on their own, free from human control. The show visualizes this crossing into the digital New World by showing the Hosts thinking they’re walking into a grassy landscape they can live in happily forever…while their physical bodies plummet off a cliff to destruction. Like in San Junipero, this action is meant to be a freeing, beautiful moment where these characters find a happiness that will never end. I think one reason these supposedly “happy endings” don’t sit right with me has to do with how they blatantly clash with the more ideal Heaven from a Catholic perspective. Both stories are strictly science-based futures where religion is either not featured or portrayed as an antiquated remnant of an illogical past. A brief, yet important, subplot in San Junipero has to do with a character’s husband’s implied faith in a spiritual afterlife, although that faith may be grounded in a desire to be with his deceased daughter rather than in any actual religious fervor. “There were things he believed and things he didn’t believe in, and this place was one of them.” his wife explains two years after his death, while sitting on a beautiful beach overlooking a clear night in San Junipero. She doesn’t share her husband’s faith, believing that after death she would just cease to exist, a viewpoint Charlie Brooker clearly aligns with as well, since her ultimate choice to stay in San Junipero despite the absence of her family is shown to be a triumphant victory over a pointless, eternal death. But while both Westworld and San Junipero reject a supernatural afterlife, they like the idea of one in some form or another. It’s as if the filmmakers see existential death as a nihilistic reality, and so they conjure up their own science-based equivalent of Heaven as a happy fantasy. So to someone with that mindset, what does a heaven look like? For one thing, both Westworld and San Junipero feature digital afterlives where the inhabitants have control over their environments. 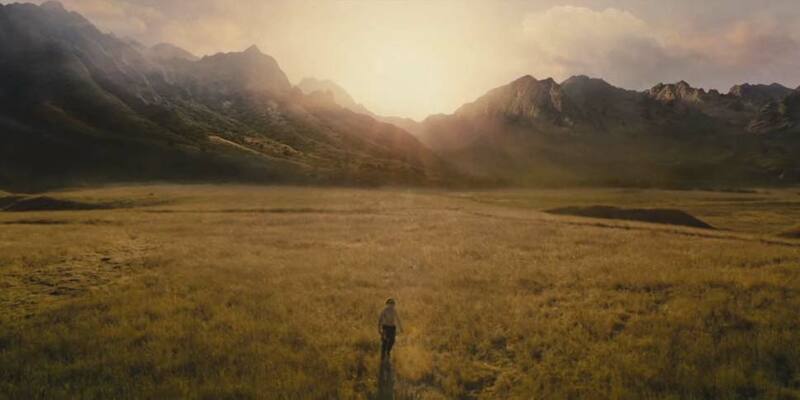 The Sublime, as the digital paradise the Hosts escape to in Westworld is called, may not have been formed or customized by its inhabitants, but it was made for them to mold it however they wanted to. It’s an untouched landscape filled with mountains, trees, grassy fields, and other resources for the robots to shape into their own world. They exhibit control by being in charge of their future after physical death. It’s a literal New World they can make into whatever they want. San Junipero features an even more customizable afterlife, provided you work within the templates already offered. We don’t see the exact scope of San Junipero, so we don’t have an idea of how vast or limited the world is, but we do know that people tend to spend time in a recreation of whatever decade they enjoy the most, with the option to jump around time frames at their convenience. Although the inhabitants are mostly elderly folks, they all sport young bodies and indulge in whatever they enjoy most, from palling around at arcades to seeking out casual hook-ups. The happiness is derived from the options, and the ability to go wherever you want, do whatever you want to do, be whoever you want to be. It’s a byproduct of a social mindset that fears a lack of control. We have to be in charge of everything that happens to us at every moment, and anything that gets in the way of that is considered evil. The Catholic Church accounts for the fact that there are things we just can’t control, and a certain level of trust in God is necessary to make sense of things that may seem illogical or terrifying. We don’t know exactly what’s in store for after death, but the Church gives us guidelines so we can prepare ourselves as much as possible. We trust that what God has taken all our fears and worries into account, and that He knows what we want more than we do. So Heaven isn’t an infinitely customizable Massive Multiplayer Online Game, but rather whatever God has in store is better than anything we can picture from our limited experience. To someone who doesn’t believe they can have happiness without control, an eternity some place everyone can tailor their experiences to their own individual tastes may seem appealing, but it’s also terribly restrictive. But the ultimate problem with a digital paradise is in how limiting it actually is. “You could have forever!” one character tells another, trying to persuade her friend to “pass over” into San Junipero. “Forever! That doesn’t even make sense, forever!” is the jaded response, and she has a point. San Junipero is just a collection of computers stored in some warehouse. It’s a material solution to a supernatural problem. Hard drives degrade, fuzes fry, earthquakes swallow up buildings, businesses go bankrupt. Whether a decade from now, or centuries later, San Junipero can’t last. All those thousands, millions of people plugged into that world will eventually disappear for good. They didn’t cheat death, they just pushed it down the road. When asked about future plotlines featuring the Sublime in an interview with the Hollywood Reporter, Westworld co-creator Lisa Joy seemingly dismissed the notion, implying that the characters who ended the season living there had found their happy ending. Lisa Joy may be content with waving the practicality of a digital afterlife away by comparing it to a religious heaven, but what she has constructed is nowhere near the ideal for these characters. Even if nobody finds out where the data is stored, even if the Sublime remains untouched so its inhabitants can cultivate the world themselves, it still will only be as ideal as they make it. In the end they are designed to be as human as possible, including human desires and scruples. I wonder if we check back in with the Hosts years from now, will they still be galavanting the fields in endless happiness, or will we see a torn country separated by ideologies, practices, and prejudices? Places like the Sublime and San Junipero can’t be all that ideal if they allow for war, violence, and racism to exist. In the end, neither San Junipero nor the Sublime are meant to be eternal resting places, they’re merely meant to be an extended stop before ultimate obliteration. The filmmakers who came up with these ideas merely see them as pushing off the inevitable as long as possible. Because they don’t believe in an afterlife, but they see the appeal in the idea, the best they can seem to dream up is a temporary realm, created and controlled by man, that offers a customizable respite before disappearing into nothingness. That’s a far cry short from a literal eternity in a Heaven better than anything human minds can conjure up. That’s why the idea of putting my trust in some programmer’s limited vision of an ideal existence is far more terrifying than putting my trust in a God whose knowledge, understanding, and capabilities are limitless. 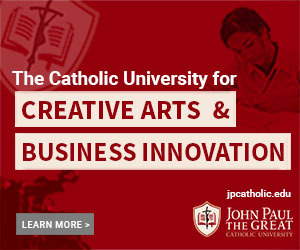 Joe Campbell graduated from JPCatholic in 2012. He now works as a production manager for filmilliterates.com, in addition to being a stay-at-home dad to two kids. He was born, raised, and currently lives just outside Seattle, Washington. Some of his favorite filmmakers include Andrei Tarkovsky, Sam Raimi, and Joe Dante. Besides film, his other interests include hiking, the board game Dominion, and coffee. Click here for more articles by Joe.